Danielle Sto. 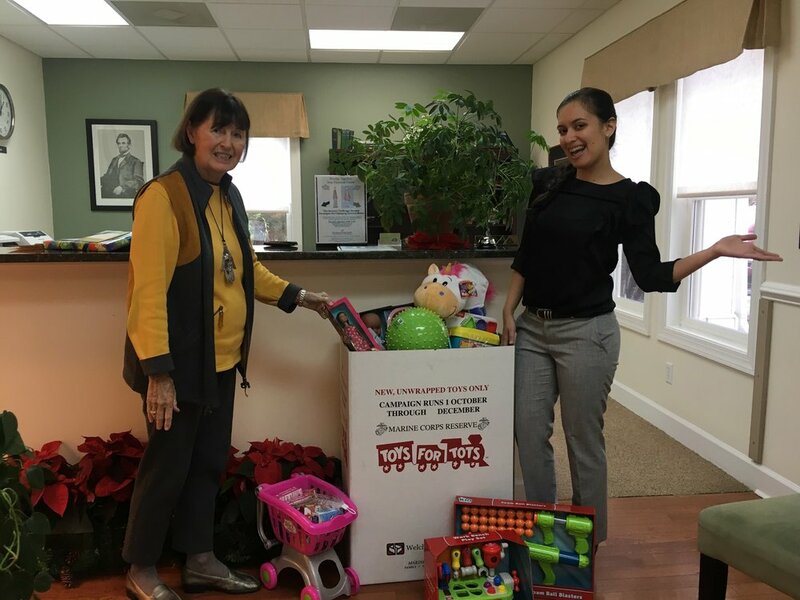 Domingo and Marcie Adler of The Bedminster Group are playing Santa’s helpers with an enormous box of toys donated by the clients and staff of The Bedminster Group. We would like to thank the generous residents of Sun City and the U.S. Marines for their efforts each year collecting these donated toys and games, and making the holiday season a merry one for children in the Low Country.